Over 120 firms across Worcestershire attended the celebration the first anniversary of the Building Better Opportunities programme on Friday 10 November. Held at Sixways Stadium in Worcester, it was hosted by both Fusion and Herefordshire & Worcestershire Chamber of Commerce. Vestia Community Trust led the work to establish Fusion who are helping local people to move into employment, improving their lives and securing the future prosperity of Worcestershire through the Building Better Opportunities project, which is funded by the National Lottery, through the Big Lottery Fund and the European Social Fund. Supported by the Herefordshire & Worcestershire Chamber of Commerce, Fusion has invested in local projects tackling the root causes of poverty, promoting social inclusion and driving local jobs and growth. They have also helped those needing extra support into work including people with disabilities, long term unemployed, adults with learning disabilities, ex-offenders and young people with no work experience. 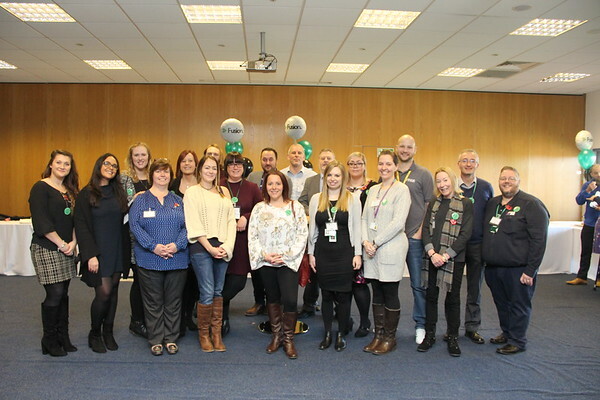 One year on since the programme started, businesses and key partners came together to celebrate the successes so far, including supporting 100 people back into work. Guests heard from a fantastic line up of speakers which included the Big Lottery Fund, The Worcester Local Enterprise Partnership, Chamber of Commerce and inspirational local firms who have benefited from the programme.